Translators from people groups scattered across dozens of islands come and go from a bustling little building in Kupang, West Timor. The building houses the Language and Culture Unit of the Evangelical Protestant Church of Timor (GMIT). Quiet enthusiasm runs high as the translators share stories of how God’s Word is impacting lives. In long conversations, they exchange ideas about how to translate accurately, how to encourage people to use the Scriptures, and how to handle logistics and other challenges in their various locations. They discuss their Scripture drafts with advisors and consultants, record audio Scriptures, and pick up boxes of newly printed Scriptures to distribute back in their villages. 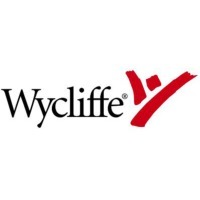 In the center of the whirlwind, Wycliffe player-coaches Chuck and Barbara Grimes give leadership, advice, mentoring and training. All of this activity reflects GMIT’s response to the region’s multiculturalism. People speaking 60 different languages worship in GMIT’s 2,300 churches. Recognizing the deep need for people to relate to God in the language they best understand, GMIT is spearheading Bible translation and Scripture use in many of these languages, and welcoming the participation of all denominations. So far, six New Testaments are in use, around 25 projects are underway, with requests for new projects coming in frequently. Many of these translations are done in partnership with The Seed Company, which provides funding, prayer, and some consultant help. While embracing diversity, GMIT has also taken steps to encourage unity. The translators all do their early drafts from one high-quality translation in Kupang, a common language they all understand. When questions arise, advisors help them check to see that their drafts match the meaning of the original Greek. At the request of the church leaders, the translators follow the exegetical choices and translation style of the first translation, crafting translations that are faithful to their own languages, accurate and understandable, but also parallel to neighboring translations. Then GMIT, in partnership with the Navigators, trains people to use these translations in multicultural Bible studies called Bible Reading Groups. Participants learn to lead a study time by asking each other basic questions about a passage and how it applies to their lives. It’s possible for people reading in four or five different languages to all participate in the same Bible study. Each of them reads in their own heart language and then they discuss it together in a language they share – often Kupang and sometimes Indonesian. Church services, too, often reflect the region’s multiculturalism. GMIT encourages congregations to incorporate their local language into their church services through Scripture reading, songs, prayers, sermons and liturgies. More and more congregations are choosing to transition entire services to the local language on several Sundays a month. But they usually leave at least one service a month in Indonesian because they want to stay connected to the believers around them. Almost naturally they settle into using both the language of discipleship (their local language) and the language of fellowship (Indonesian), as healthy churches do in a multilingual society. From the earliest days of Christianity, people of different languages and cultures have lived and worshipped together. Sometimes their diversity has led to challenges, but working through those challenges has led to greater spiritual growth, a deeper sense of community, and a stronger church. The Evangelical Protestant Church of Timor is proving once again that unity in diversity furthers the mission of God.